I'll be honest, I love the Northern Quarter. If there is any segment of the city that best encapsulates that holy trinity of the Mancunian identity – great music, snappy dressing and streetwise charm – it's good old NQ. Few would deny that Northern Quarter is home to some cracking bars, even fewer would be able to pick a favourite, but I can. I hold my hands up; my favourite Northern Quarter bar is Common. Located on Edge Street, just behind the main thoroughfare of Thomas Street, Common is instantly set apart from the rest of the Northern Quarter milieu. Venture inside and you cannot fail to be won over by the place's idiosyncratic charms, nor can you help but respect Common's commitment to art and culture in the local area. Sit down with a cold beer – incidentally, mine's a Brooklyn, if you're buying – and scan the walls and you're likely to spot a piece from Common's latest exhibition. Previous exhibitions have included Kristian Jones's Lost In Youth posters, David Bailey's Flesh & Bone graphic art and the awe-inspiring Beards of Manchester collection, which put my hairless, 25-year-old chin to shame. 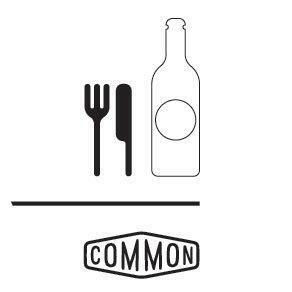 I could indulge my inner pseud and say that Common is more than just a bar; it is a drinking establishment that recognises its position of social and cultural responsibility in the community, but I won't. Instead, I will say that it's a bar that has the courage to be endlessly intriguing, undeniably fascinating and – crucially – fun. On Friday and Saturday nights the place is packed, but pop in on a Wednesday afternoon and you'll still encounter the sort of vibrant atmosphere and interesting characters that has made Common one of the best loved bars in the City of Manchester. Head to Common, have a drink and pick up a flyer on the way out. Why? Not your average city centre bar. Cost: £2 entry after 10pm Friday and Saturday. Free entry at all other times.